What Are ACH Payments and Should I Accept Them? In this guide, we explain what an ACH payment is, how it works, and how to accept one in your business. ACH stands for Automated Clearing House, a U.S. financial network used for electronic payments and money transfers. Also known as “direct payments,” ACH payments are a way to transfer money from one bank account to another without using paper checks, credit card networks, wire transfers, or cash. ACH payment volume is steadily growing. The ACH network processed more than 25 billion electronic payments in 2016, totaling $43 trillion, an increase of more than five percent over 2015. 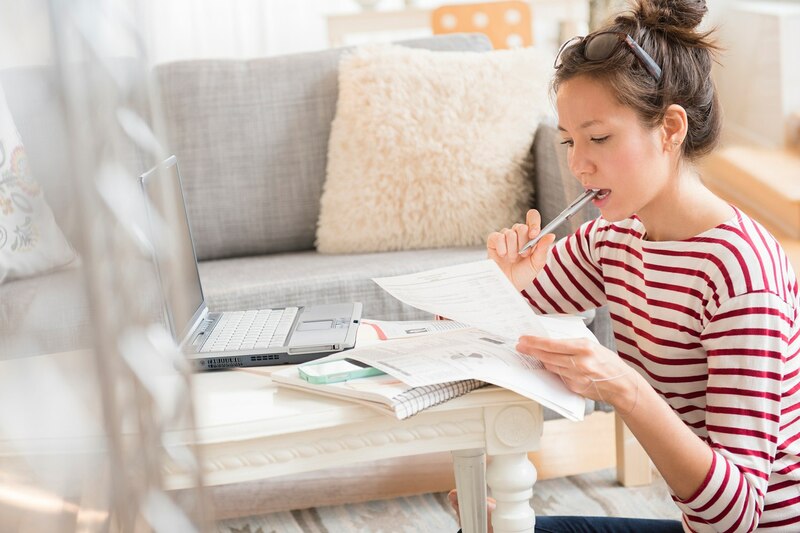 As a consumer, it’s likely you’re already familiar with ACH payments, even though you might not be aware of the jargon. If you pay your bills electronically (instead of writing a check or entering a credit card number) or receive direct deposit from your employer, the ACH network is probably at work. For businesses, ACH payments are a popular alternative to paper check and credit card payments. Because they’re electronic, ACH payments are faster and more reliable than checks, thereby helping to automate and streamline accounting. Generally, it also costs less to process an ACH transfer than a credit card payment or wire transfer. If you’re a business that accepts recurring payments, the savings can be significant. What’s the difference between ACH payments, wire transfers, and EFT payments? While ACH payments and wire transfers are both ways to move money between two accounts, there are a number of differences between them. Wire transfers are processed in real time, as opposed to ACH payments, which are processed in batches three times a day. As a result, wire transfer funds are guaranteed to arrive on the same day, while ACH funds can take several days to process. Wire transfers are also more expensive than ACH payments. While some banks don’t charge for wires, in some cases, they can cost customers up to $60. EFT payments (EFT stands for electronic funds transfer) can be used interchangeably with ACH payments. They both describe the same payments mechanism. There are two types of ACH payments. ACH debit transactions involve money being “pulled” from your account. ACH credit transactions let you “push” money to different banks (either your own or to others). Here are two examples of how they function in the wild. Many companies offer direct deposit payroll. They use ACH credit transactions to push money to their employees’ bank accounts at designated pay periods. (Employees need to provide a voided check or a checking account and routing number to set this up). Consumers who pay a business (say, their insurance provider or mortgage lender) at certain intervals may choose to sign up for recurring payments. That gives the business the ability to initiate ACH debit transactions at each billing cycle, pulling the amount owed directly from the customer’s account. The Originating Depository Financial Institution (ODFI) is the banking institution that initiates the transaction. The Receiving Depository Financial Institution (RDFI) is the banking institution that receives the ACH request. The National Automated Clearing House Association (NACHA) is the nonpartisan governmental entity responsible for overseeing and regulating the ACH network. So how do ACH payments work? Let’s take your automated monthly phone bill payments as an example. When you sign up for autopay with your phone company, you provide your checking account information (routing and account number) and sign a recurring payment authorization. Then, when you hit your billing cycle, your phone company’s bank (the ODFI) sends a request to your bank (the RDFI) to transfer the money owed. The two banks then communicate to ensure that there are enough funds in your bank account to process the transaction. If you have sufficient funds, the transaction is processed and the money is routed to your phone company’s bank account. What are typical ACH payment processing times? ACH payments typically take several business days (the days on which banks are open) to go through. The ACH network processes payments in batches (as opposed to wire transfers, which are processed in real time). Per the guidelines set forth by NACHA, financial institutions can choose to have ACH credits processed and delivered either within a business day or in one to two days. ACH debit transactions, on the other hand, must be processed by the next business day. After receiving the transfer, the other bank might also detain the transferred funds for a holding period. All in all, you’re looking at an average three- to five-day processing time for ACH payments. However, a new rule by NACHA (which went into effect in September 2016) requires that the ACH process debits three times a day instead of just one. The changes (which are occurring in phases) will make possible widespread use of same-day ACH payments by March 2018. How much do ACH payments cost to process? ACH payments are typically more affordable for businesses to process than credit cards. Your merchant account provider (or whatever entity you’re using to process ACH payments) sets the prices. Some ACH processors charge a flat rate, which typically ranges from $0.25 to $0.75 per transaction. Others charge a flat percentage fee, ranging from 0.5 percent to one percent per transaction. Providers may also charge an additional monthly fee for ACH payments, which can vary. Square uses ACH payments for deposits, and there’s no fee associated with that for Square merchants. Why are some ACH payments rejected? This means the customer didn’t have enough money in their account to cover the amount of the debit entry. When you get this code, you’re probably going to have to rerun the transaction after the customer transfers more money into their account or provides a different payment method. This happens when a customer had a previously active account that they closed. It’s likely they forgot to notify you of the change. They have to provide you with a new bank account to process the transaction. R03 No bank account/unable to locate account. This code is triggered when some combination of the data given (the account number and name on the account) doesn’t match the bank’s records or a nonexistent account number was entered. The customer needs to check and provide their banking details again. If a bank doesn’t allow a business to withdraw funds from a particular bank account, you’ll get this reject code. In this case, the customer needs to provide their bank with your ACH Originator ID to enable ACH withdrawals by your business. Then you need to rerun the transaction. Are there any penalty fees with ACH payments? Unfortunately, rejected ACH payments could land your business a penalty fee. So if you get a reject code, it’s important to quickly correct the issue to avoid incurring additional fees on each recurring billing cycle. To avoid the hassle of untangling ACH rejects, it may be worth only accepting ACH payments from trusted customers. Although the ACH network is managed by the federal government and NACHA, ACH payments don’t have to follow the same PCI-compliance guidelines required for credit card processing. However, NACHA requires that all parties involved in ACH transactions (including businesses initiating the payments and third-party processors) implement processes, procedures, and controls to protect sensitive data. Their rules also stipulate that the transmission of any banking information (like a customer’s account and routing number) be encrypted using “commercially reasonable” technology. That means you can’t send or receive bank information via unencrypted email or insecure web forms. Make sure that if you use a third party for ACH payment processing, it has implemented systems with state-of-the-art encryption methods. Under the NACHA rules, originators of ACH payments must also take “commercially reasonable” steps to ensure the validity of customer identity and routing numbers, and to identify possible fraudulent activity. Most third-party ACH processors should have these capabilities, but make sure to check before you sign on with anyone. It’s also worth working with an IT or security professional to ensure your business is processing ACH payments safely. There are a number of reasons why ACH payments are becoming an increasingly attractive option for businesses. ACH payments typically have the lowest processing fees of any type of payment. If you use a provider with a flat rate, processing ACH payments will cost your business way less out of pocket than processing credit cards. Checking accounts don’t have things that “expire” like credit and debit cards. So you deal with far fewer declines when processing ACH payments. No more paper invoices, paper checks, and time-consuming trips to the bank. Providing different payment options makes for a better customer experience. With ACH payments, customers don’t have to search for their checkbook every month. They can just “set it and forget it” by signing up for recurring billing. ACH payment processing is affordable and convenient, but there are some limitations. ACH payments can take several days to process — typically between three to five business days. There can be daily and monthly caps on how much money you can move. The Same Day ACH per transfer limit is set at a maximum amount of $25,000. After a certain time of day, a transfer won’t be processed until the next day (or Monday, if it’s before a weekend). It’s likely your bank doesn’t allow ACH transfers to and from international bank accounts. Small businesses aren’t set up by NACHA to be the ODFI or the RDFI in an ACH transaction. But you can use a bank or payments processor that is set up to run ACH payments. Square ACH deposits are available as soon as the next business day. If your close of day is set to 5 p.m. PT (the default) or earlier, your funds will arrive in your bank account by the next business day. If your close of day is set after 5 p.m. PT, your funds will arrive in your bank account within two business days. Learn more about tracking your deposits. If next-business-day deposits aren’t quick enough for you, Square offers another option: Instant Deposit. Instant Deposit allows you to move money to your bank account right away. You can instantly send up to $2,500* per deposit, 24 hours a day, 7 days a week, for a fee of one percent of the deposit amount. *Amounts may vary for new Square sellers.